The Duck Races are part of the Murphys Homecoming celebration put on annually by the Murphys Community Club. "Race" a duck to win lots of fun prizes! 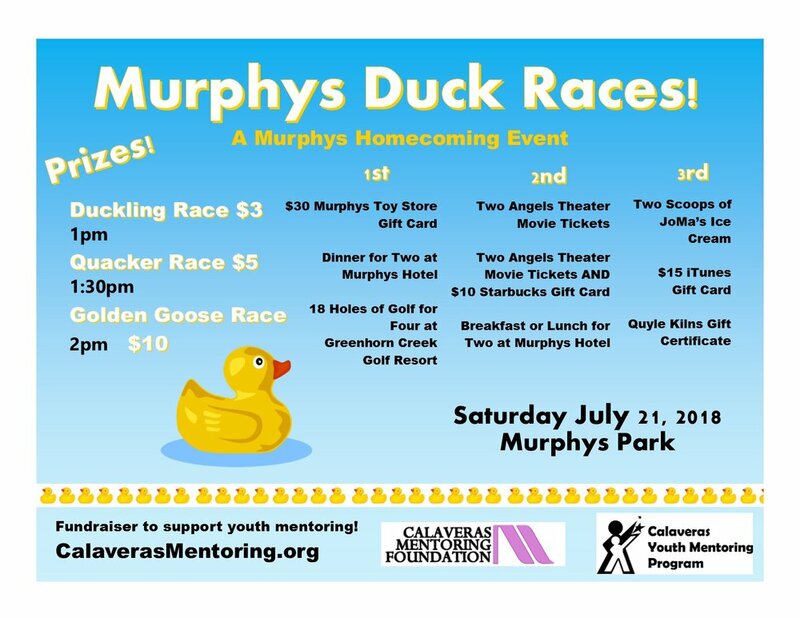 All Proceeds from the Murphys Duck Races Support the Safety and Success of Matches in the Calaveras Youth Mentoring Program! If you have any questions, please contact the Calaveras Mentoring Foundation at 209-736-7706 or calaverasmentoringfoundation@gmail.com.